Measuring for a fence can be a crucial skill for a homeowner to have in their DIY tool kit. Knowing how to find the dimensions of your fence, where to place it on your property, and what obstacles to look out for allow you to install your own DIY privacy fence or potentially help out a friend or neighbor. If you work with a skilled fencing contractor like Smucker Fencing, we handle ALL measuring for your fence along with the other important installation prep work. All you need to do is select the style & the design that matches your outdoor décor. While learning to measure a fence is mostly for DIY projects, some of our customers like to calculate how much fence they need before calling us for a quote. 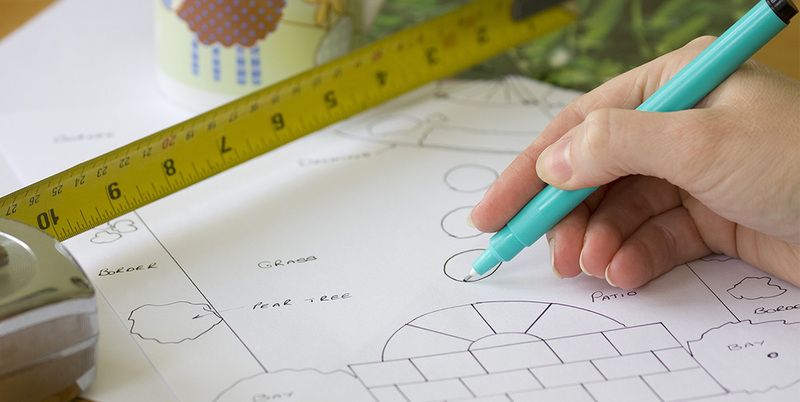 Make a sketch of your house and yard — This step is technically optional, but it is a good idea. Drawing an on-paper blueprint will guide your surveying and help you keep track of the different measurements you collect. Mark your property lines — One of your first steps in planning for a fence needs to be staking your property lines. If you don’t know your yard’s boundaries, contact your township or a surveyor. Decide where you’ll place your fence — Sounds easy…but it is actually far more complicated than you’d expect. While you’d think you could lay your fence right on your property line for maximum yard space, some townships and HOAs actually require you to install your fence a set distance back from your border. Measure each side from post-to-post — When you know where you’re allowed to place your new fence, you can start measuring it. Use a 100 ft measuring tape or a measuring wheel to find your fence lengths. This will help you calculate how much fence you need when you’re ready to order or get your quote. 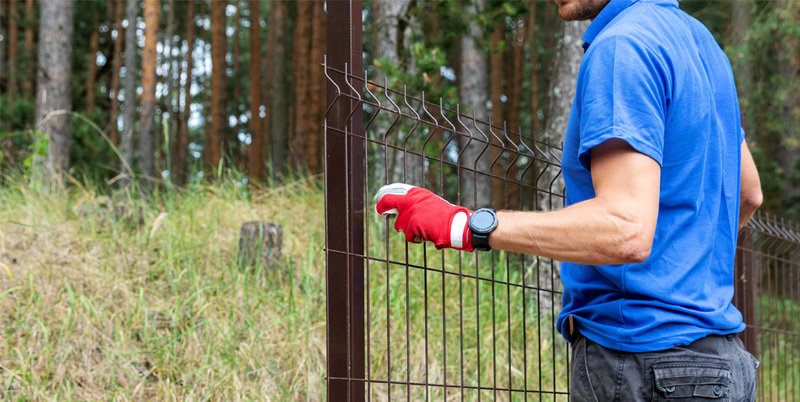 Look for obstructions — Once you have the first set of fence measurements, walk along the fence line and note any potential obstructions in your path. This can include trees, outdoor structures, utility boxes, rocks, or boulders. Look for changes in elevation — During the same examination of your fence line, you’ll want to note changes in ground elevation. Changes in elevation may need to be remedied with minor excavation or other modifications. Plan out how many sections of fence you’ll need — After you know how long each fence side needs to be, you can calculate how many sections of fence you need. Generally, the type of fence you want to build determines how many sections of fence you’ll require. For example, our aluminum fencing comes in 6-foot and 8-foot sections. Plan for gates — The final step in measuring for your fence is to plan for the gate or gates. 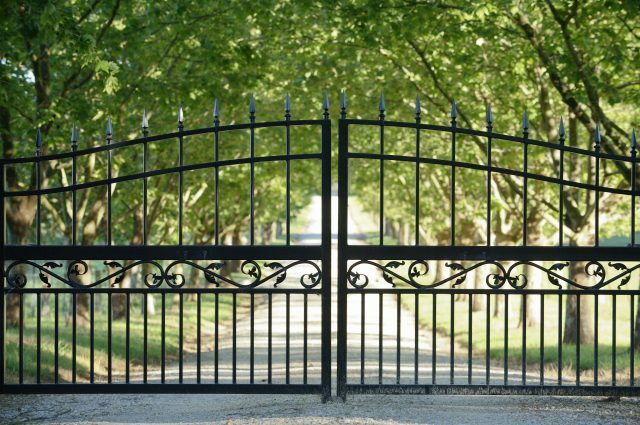 Whether you need a single gate, a double gate, or gates for a vehicle, you need to plan that ahead of time. While it’s not impossible to DIY install a gate — it is far more challenging. See some of the striking estate gates we’ve installed. While doing a fencing project yourself isn’t impossible, it is a challenge. Throughout our years of business, we’ve been called in to fix TONS of DIY fence installations gone wrong. When you work with an experienced fence contractor, you can rest assured that your fence will be installed correctly – the first time. Our precise works begins from getting the right fence measurements and continues throughout the installation of your product. With us, it’s a true worry-free service. We believe that working with a fence contractor is a great idea no matter what, and it is especially important when installing complicated features like gates. 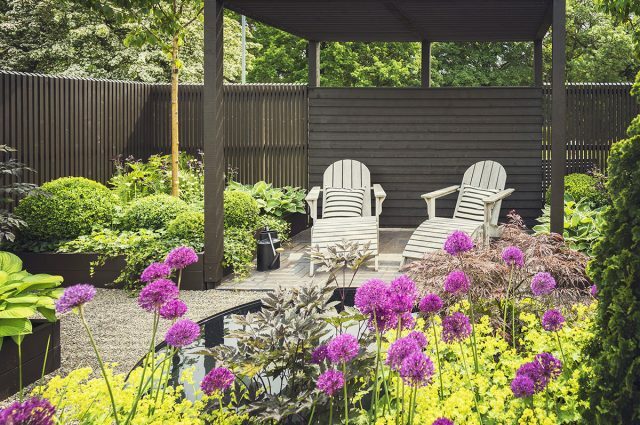 See our gallery for some of the gorgeous fences we’ve installed over the years. 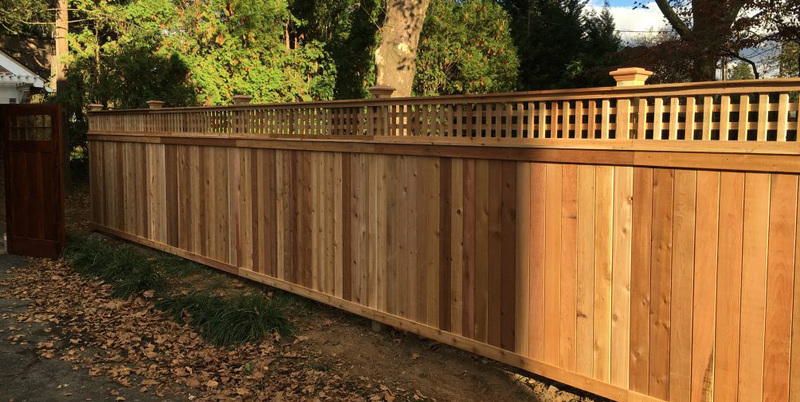 If you’re ready to discuss the next step for your beautiful new fence, contact us today.